The ability to move objects with the mind is one that has fascinated people for more than a hundred years at least. From bodily knocking down an opponent to influencing the fall of dice or healing a wound at will, Telekinesis has many reported applications - if it can be proven to be real, that is. The effects covered under the term TK are limited only to the imagination, but some effort has been made to categorise and identify the “sub abilities” of TK. The most obvious and commonly held ability with TK is moving an object with the power of the mind alone, but the deft manipulation of the physical world is included; for example, accelerated biological healing. Being able to transmute matter, changing lead to gold for example, with only mental power is another sub-ability, as is the ability to control electro magnetism and light waves and other forms of the energy spectrum. Reports of TK users able to teleport - or physically transport themselves from one space to another without crossing the intervening space - have been recorded, but not proven under empirical laboratory conditions. There are a lot of anecdotal stories of TKers being able to phase through solid objects by manipulating the molecules of either their bodies or the object they are passing through, such as a solid wall. One way that parapsychologists break down the various TK related abilities is to group them into either Micro TK or Macro TK. Micro TK refers to the ability to create a very, very small effect by manipulating atoms, molecules or even subatomic particles. Affecting the operation of a computer, supernatural healing abilities, shifting X rays and the like would fall under Micro TK. Macro TK are large scale impacts on the physical world, the type that can bee seen by the naked eye. Levitation, making an object float across the room, knocking someone down with a thought - these are Macro TK effects. The ability to affect the world with the power of the mind is a very popular idea and examples are abundant when it comes to literature and film. Perhaps the most high profile examples of beings with TK like abilities are the members of the Jedi Order in the Star Wars stories. Through manipulation of “The Force” a Jedi Master can trigger a switch, push an opponent and make assisted leaps to the tops of buildings. Telekinesis remains unproven, despite the efforts of many. 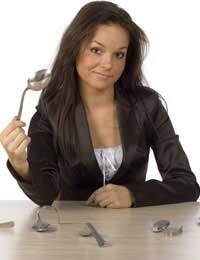 Those that have made the largest claims, such as Uri Geller, famous for his spoon bending antics in the 1970s and 1980s, have been unable to hold up to the cold eye of scientific examination.